Any person who is a Hindu by religion in any of its forms or developments. Any person who is a Hindu including a Virashaiva, a Lingayat or a follower of the Brahmo, Prarthana or Arya Samaj. Any person who is a Buddhist, Jaina or Sikh by religion. Any other person, excluding a Muslim, Christian, Parsi or Jew by religion, domiciled in the territories to which the Hindu Marriage Act, 1955 extends, unless it is proved that any such person would not have been governed by Hindu Law. Any child, legitimate or illegitimate, both of whose parents are Hindus, Buddhists, Jainas or Sikhs by religion. Any child, legitimate or illegitimate, one of whose parents are Hindu, Buddhist, Jain or Sikh by religion. In this case, the child must have been brought up as a member of the tribe, community, group or family to which such parent belongs or belonged. Any person, who is a convert or re-convert to the Hindu, Buddhist, Jain or Sikh religion. 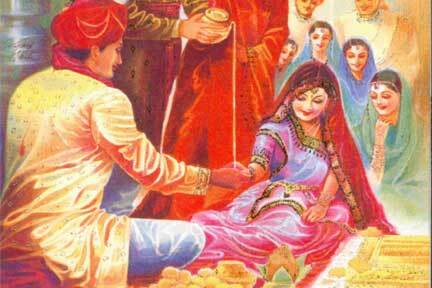 Shall be governed by the Hindu Marriage Act, 1955. This was only a brief introduction pertaining to the applicability of the Hindu Marriage Act, 1955 in India. The legal procedure for getting married under the Act, and other complications arising out of such a marriage would be discussed in future posts.